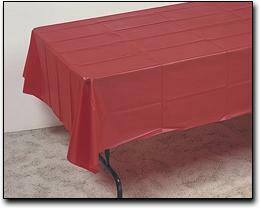 Basic plastic table cover. Many colors available!! Please specify what color you want in order! !